VT Media - elegant template news from the development team Vtem, released on numerous requests from users. 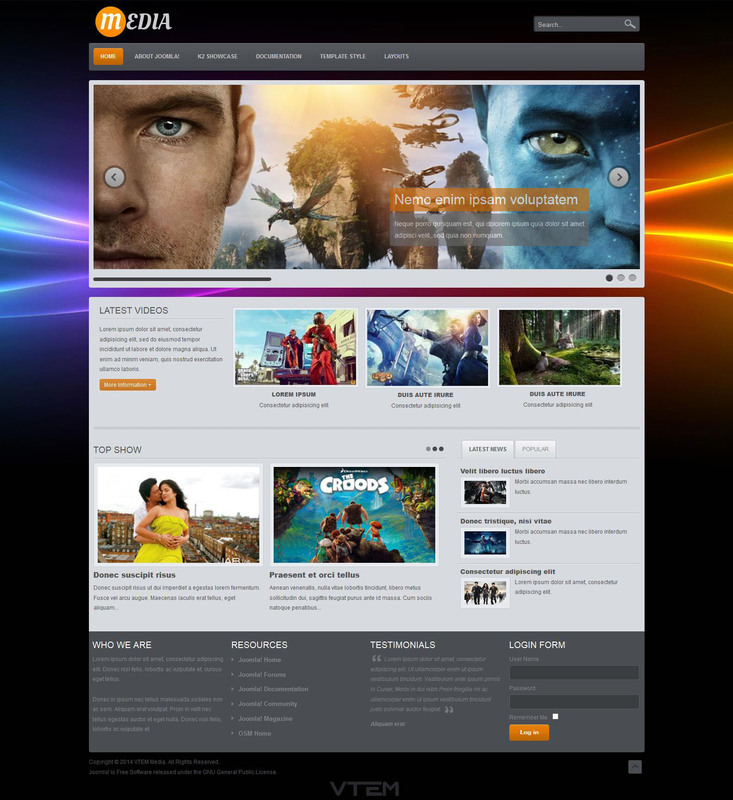 Gorgeous design template is ideal for the creation of information and multimedia sites. This template is the first development studio that supports adaptive design. Pattern characterized by fast loading pages, full support for all browsers and good optimization. Having the support component K2 provide flexible management of site materials, which in combination with studio modules can be displayed on the site in the right form. The presence of four color schemes in combination with a flexible modular design will help to create high-quality and stylish website.